Jan is an experienced naturopathic practitioner who specialises in treating children and women for a wide range of conditions. She aims to find the underlying causes of ill health, educate with dietary and lifestyle advice, and prescribe supplements specific for the individual. Jan has also studied hypnotherapy as a safe and gentle method of facilitating positive changes so that clients can take control of their lives and achieve their goals. Jan has been advising parents about their children’s health for over 20 years. She takes the time to find out exactly what is needed to bring a child to their optimal health and maintain it. Jan offers practical advice and works with parents to create an individual program for each child. This may involve herbal remedies, nutritional supplements or homoeopathics. Naturopathy has successfully been used to treat a wide range of problems which affect women. Hormonal problems such as PMS, period problems and menopause all respond well to herbal treatment and dietary changes. Jan provides care for couples wishing to conceive and delights in continuing her care through pregnancy and birth. Jan offers hypnosis for childbirth classes to couples to help eliminate the fear which many women experience during pregnancy and childbirth. Couples learn to use relaxation, breathing and visualisation techniques to create their own positive birth experience. 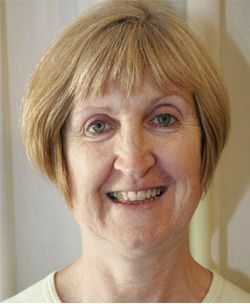 Jan completed Calmbirth® practitioner training in 2007. There is no need to live your life putting up with nagging health issues such as sinus and hayfever, digestive and bowel problems, headaches, poor sleep and allergies. Simple naturopathic remedies can help correct underlying imbalances to calm annoying symptoms, improve energy and create optimum vitality. Hypnotherapy is a powerful tool which can help to change unwanted patterns of behaviour and achieve positive goals. With hypnotherapy it is possible to create a sustained calmness and peace of mind. Determination, resilience and optimism can be increased. Hypnosis is safe, relaxing and completely natural. Under hypnosis, concentrated focus and imagination are used in a deep state of relaxation to positively change behaviours and beliefs. Hypnotherapy can help in the management of anxiety, insomnia, fears, lack of confidence, weight management and becoming smoke free. Jan is a highly qualified and experienced practitioner and educator in the naturopathic field who has been in private practice in Melbourne since 1988. She has two children. Jan lectured in Paediatrics and supervised in the student clinic at the Southern School of Natural Therapies for over 20 years. She has also completed a Diploma of Clinical Hypnotherapy.Jan’s present practice is centred around family health where she is skilled in treating all age groups. Jan’s particular interest and expertise is women’s and children’s health. Jan has extensive experience treating children’s conditions ranging from eczema and recurrent colds to digestive disorders and food intolerance. Jan has a special interest in women’s health, infertility, pregnancy and menopause, and nervous system disorders such as anxiety, depression and stress related conditions. Offering a holistic approach, Jan believes in supporting both physical and emotional health and well-being. Jan offers individual programs using herbs, nutritional supplements, homoeopathics and dietary and lifestyle advice. Jan is a caring practitioner who offers her patients a depth of clinical experience and a strong commitment to help others achieve optimal health. Jan is a current member of NHAA and attends complementary health conferences and seminars in naturopathy and hypnotherapy to maintain current knowledge in both of these areas. Jan is a Fellow of ANTA, member of NHAA and member of AACHP. Registered with all health funds. Concession rates are available.